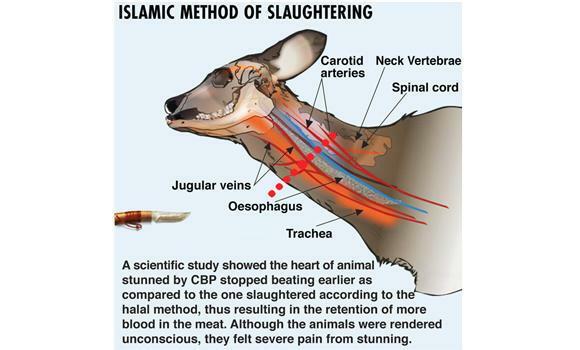 In a past post, the proper Islamic etiquette of slaughtering an animal was discussed in detail, from saying Bismillah in the beginning to sharpening the blade and being kind to the animal. This hadith discusses the “instrument” used to slaughter the animal. It’s apparent and obvious that bones and nails are prohibited. And whatever is used other than that must cause the animal to bleed profusely. Is it permissible to say “Bismillah” when operating the machine which does one repeated movement. Please note that what is meant is saying “Bismillah” only once, when starting the machine for slaughter. Answer: it is acceptable for the person who is operating the machine to say “Bismillah” once when starting it for a number of (chickens) with the intention of slaughtering them, so long as the one who is operating it is a Muslim or a Jew or a Christian. ‘Abdullah ibn Ghadyaan, ‘Abd ar-Razaaq ‘Afeefi, ‘Abd al-‘Azeez ibn ‘Abdullah ibn Baaz. End quote. More about stunning animals, saying Bismillah once or repeatedly and other related discussion here. I have one question to ask: what’s stopping you? What’s stopping you from going out in Allah’s Cause, to travel for his sake, to make a sacrifice for him? It doesn’t have to be qitaal (fighting) only, it can be learning the Deen, calling people to it, welfare etc. What’s stopping you from getting what’s better than the whole wide world? Hadith no. 1995 (below) is a repeat. Read it here. Allah’s Apostle (sallallaahu `alayhi wasallam) employed someone as a governor at Khaibar. When the man came to Medina, he brought with him dates called Janib. The Prophet (sallallaahu `alayhi wasallam) asked him, “Are all the dates of Khaibar of this kind?” The man replied, “(No), we exchange two Sa’s of bad dates for one Sa of this kind of dates (i.e. Janib), or exchange three Sa’s for two.” On that, the Prophet (sallallaahu `alayhi wasallam) said, “Don’t do so, as it is a kind of usury (Riba) but sell the dates of inferior quality for money, and then buy Janib with the money”. The Prophet (sallallaahu `alayhi wasallam) said the same thing about dates sold by weight. The phrase “unless you are able to slaughter it” refers to that which you are able to reach and slaughter in the proper manner when there is still evidently life in it. That refers to the phrase, “that which has been killed by strangling, or by a violent blow, or by a headlong fall, or by the goring of horns — and that which has been (partly) eaten by a wild animal”. This shows that as long as one is able to slaughter the animal before it dies, it is permissible to eat from it. More on the etiquette of slaughtering animals here. This hadeeth also answers the question about whether any of the Sahaabiyaat (female Companions of the Prophet (peace and blessings of Allaah be upon him)) slaughtered animals. “It is permitted to eat from an animal which a man or a woman slaughters Islamically before it dies, or from meat slaughtered by a woman, even if she is menstruating, because her menstruation is not in her hand. It is permissible to eat meat from an animal which a woman slaughters Islamically before it dies, by the consensus of the Muslims.” (Al-Fataawa, 35/234). The Prophet (sallallaahu `alayhi wasallam) permitted (them). That the Prophet (sallallaahu `alayhi wasallam) allowed (as above). 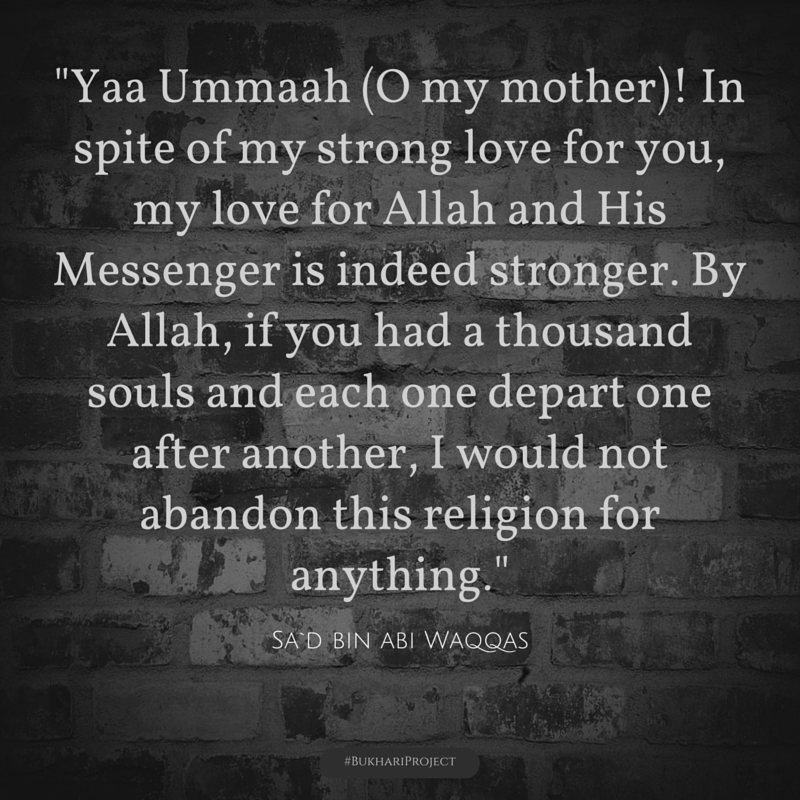 Al-Abbas (radiallaahu `anhu) asked the permission from the Prophet (sallallaahu `alayhi wasallam) to stay at Mecca during the nights of Mina in order to provide water to the people, so the Prophet (sallallaahu `alayhi wasallam) allowed him. Staying overnight in Mina during the Days of Tashreeq is obligatory according to the majority of fuqahaa’; the one who fails to do that with no excuse is obliged to offer a sacrifice. According to the majority of scholars one should stay there for most of the night. 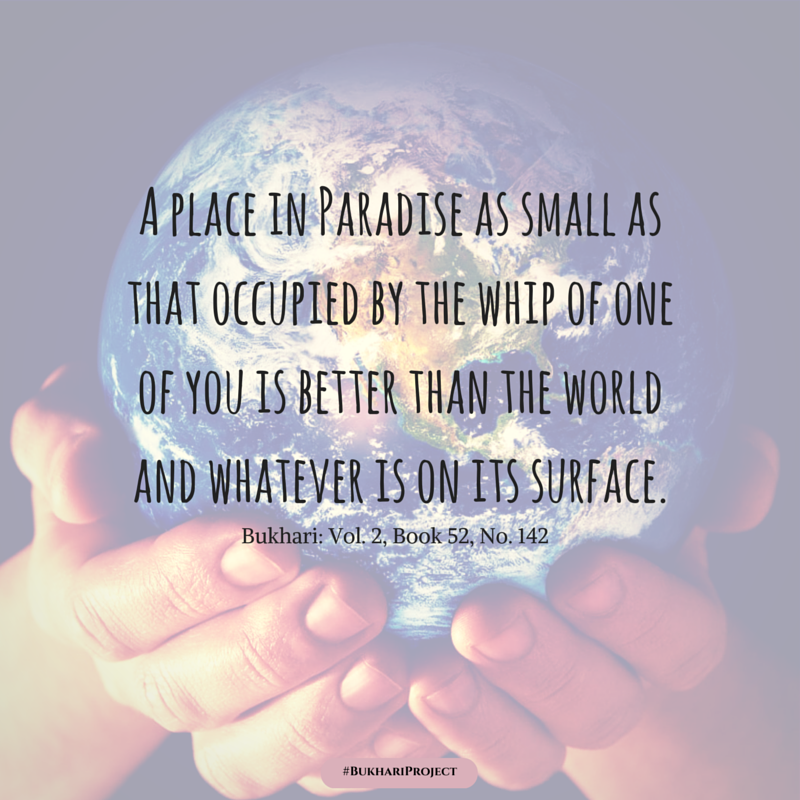 (al-Mawsoo’ah al-Fiqhiyyah, part 17, p. 58). He is not obliged to offer any sacrifice because Allaah says (interpretation of the meaning): ‘So keep your duty to Allaah and fear Him as much as you can’ [al-Taghaabun 64:16] – whether he did not stay overnight at Mina because of sickness or because there was no room, of for some similar legitimate excuse such as those who bring water to the pilgrims and those who tend sheep, and whatever else comes under the same rulings. The second case: when a person does not stay overnight (in Mina) during the days of Tahsreeq with no excuse. He should offer the sacrifice and share out its meat among the poor in the Haram, and he should not eat any of it. And Allaah knows best.